asphalt Archives - Epic Paving & Contracting Ltd.
How Long Does a Paved Road Last? How long will your paved road or driveway last? Exceptional installation is the key factor in determined the longevity of a road. What are some best practices for asphalt or concrete paving of roads? What materials last longest? Whether using asphalt or concrete, consistent maintenance will make the biggest difference. Paving of the roads involves more than laying down asphalt or concrete. When the roads begin to crack or the winter damages structural integrity, contact a paving professional to seal and repair the road. Winters are especially brutal to roads. Snow and ice melt into small cracks and holes. As the temperatures drop, the water freezes. This expansion causes the small cracks to grow larger, sometimes into large dangerous potholes. If possible, have a professional seal the road before the winter season strikes. Once winter is over, begin to repair any damage. If you maintain the road concrete can last as long as three decades. Asphalt will last closer to fifteen to twenty years. In both cases, though, be sure that you seal and repair every year. You might find that over time the driveway will lose is aesthetic appeal. 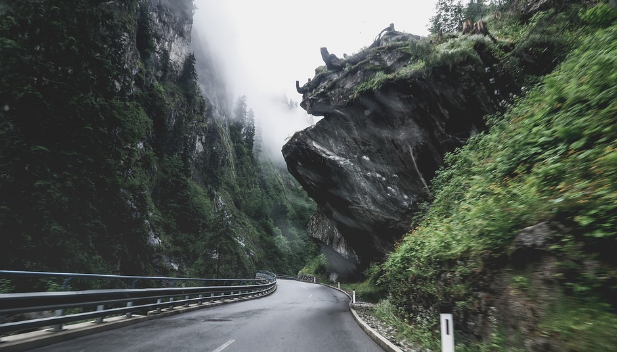 You might choose to replace the entire road if it is beyond repair. Sometimes you can grind down the topmost layer of the concrete, leaving behind stronger concrete. However, another option is hydroblasting. Hydroblasting will lengthen the life of your concrete road. A silica fume concrete overlay will be placed over the road after the contractor identifies any weak areas. A road that has been hydroblasted may last for fifty years. Follow a regular maintenance schedule to ensure the longest lifespan for your road. Call us today with any questions. This entry was posted in asphalt and tagged asphalt, asphalt. installation, paving, repair on April 13, 2019 by epicpaving. Asphalt remains a popular driveway and parking lot option for many homeowners and business owners. Properly installed asphalt can last for many years, especially with regular asphalt driveway sealing and maintenance. What are the biggest pros and cons of asphalt paving for 2019? Asphalt paving is a clear aesthetically pleasing choice. To keep your asphalt driveway or parking lot looking pristine, clean it at least twice a year. Regularly maintain the driveway with professional asphalt driveway sealing. Deal with any cracks, potholes, or damage immediately. You should seal-coat the asphalt every two to five years. This will ensure that the surface remains strong and water-resistant. Contact our professionals today to learn how to maintain and improve your driveway. How Long Does Asphalt Last? While concrete driveways last about thirty years, a well-maintained asphalt driveway lasts about twenty years. However, many homeowners and business owners prefer the look of the asphalt over aged concrete. Regular maintenance will help keep the curb appeal of your home. The cost of an asphalt driveway is about half the cost of concrete. It can cost around five dollars per foot, depending on the installer and the materials. Keep in mind that there may be extra costs depending on how much space you need to pave and if there are features, like landscaping, that need to be considered. Like many other materials, asphalt takes a beating in colder weather. The snow and ice melt into the cracks of the driveway. When the liquid freezes, it expands. This can cause potholes, deep cracks, and structural damage. It is recommended that you repair your driveway before the winter sets. If you are not sure how to repair your driveway and winterize it, please call us today. Our seasoned professionals can help you. This entry was posted in asphalt and tagged asphalt, asphalt. installation, maintenance, paving, repair on April 13, 2019 by epicpaving. Homeowners choose asphalt for their driveways because of its strength, cost, and durability. Maintenance, driveway sealing, and installation are significantly more affordable with asphalt. Both concrete and asphalt pave driveways, roads, and parking lots. Both have different benefits and challenges. How durable is an asphalt driveway? Every material has its own unique challenges. Regular maintenance and repair are necessary with asphalt. Asphalt is prone to discoloration and needs driveway sealing every couple of years. Every five to ten years the homeowner needs to coat the entire driveway. Part of this is due to its weaker structure. While affordable, most asphalt driveways last about fifteen to twenty years. Homeowners need to take this into account when determining if they want to purchase asphalt. Homes in extreme climates will have to maintain their asphalt driveways on a more regular basis. The material becomes soft under high temperatures, causing cracking. Thicker asphalt with a thicker profile will prevent some of the more common issues. Sealing cracks before precipitation settle also lengthen the lifespan of your driveway. Hiring a trusted paving company to install your asphalt driveway greatly minimizes long-term cost. Many homeowners like the look of blacktop. Some find it more aesthetically pleasing than plain concrete, gravel driveways, crushed stone, or crushed basalt. Asphalt provides more curb appeal than these options. Other driveway options like stamped or colored concrete, brick, or cobblestone have more options for customization at an additional cost. Want to install a new driveway, sidewalk, or parking lot? Speak with one of our experienced professionals today. We will help you find the material that best suits your needs. This entry was posted in asphalt and tagged asphalt, asphalt. installation, driveway, driveways, maintenance, paving on March 17, 2019 by epicpaving. How Do You Apply Cold Patch to Asphalt? Maintaining your asphalt driveway lengthens the driveways lifespan. There are various pothole repair methods available. Apply a simple cold patch to your asphalt driveway for minor potholes. How do you apply a cold patch to asphalt? Follow these simple instructions below. You can repair a shallow pothole with a cold patch. This is one of the easier do-it-yourself pothole methods. If you need to repave or replace your driveway, be sure to call the professionals. Potholes often occur due to extreme weather conditions. Snow and ice cover your driveway. When the weather warms, water seeps into the cracks of the driveway. Freezing causes the water to expand, causing cracks and unsightly potholes. Potholes can cause danger to pedestrians. They can damage your vehicles, mainly the tires. Not only that, they are an eyesore. If you don’t repair a pothole, it grows into a larger problem that can be much costlier. Many homeowners choose a cold patch. The cold patch comes in bags. Patch holes as small as several centimeters across. Originally cold patches were a temporary solution. Newer technologies now make it a more permanent solution. The newer cold patch options have polymers. They increase adhesion overall. The cold patch will stick to the older asphalt in your driveway. Newer cold patches flow slowly like lava from the bag. The materials start curing immediately. Make sure the bottom of the pothole is larger than the top of the pothole. Use a chisel for constructing vertical faces on the sides of the hole. They need to stretch down to the previous layer of solid asphalt. Make sure the pothole is clear of debris and dust. Apply at least a few centimeters of material. About five centimeters is ideal. Any more and the material may take too long to harden. Use a hand tamper to compact the patch. Wait at least a day before driving or walking on the cold patch. You do not need to seal a cold patch immediately. Typically, you should wait a month before sealing. If your pothole damage is severe or you would like an assessment on how to best fix your asphalt driveway, give our professionals a call today. We are here to help you. This entry was posted in asphalt and tagged asphalt, pothole, potholes, repair on February 18, 2019 by epicpaving. What is the Cheapest Driveway Material? Homeowners and business owners have many choices when choosing the right type of material for their driveway. Parking lot maintenance, aesthetics, and weather are all important factors in determining the right type of material. What are the materials available for your driveway, and which is the cheapest? Asphalt driveways continue to be the least costly option. Regular parking lot maintenance is necessary, as asphalt is prone to cracks and potholes. Harsh weather conditions and water damage can easily deteriorate the asphalt. Because of its relatively high maintenance, regular resealing and repair is necessary every few years. While this may be a good option for most situations, realize the amount of work that needs to be done to maintain the asphalt. Expect to resurface the driveway every ten to fifteen years, especially in harsh climates. Asphalt is relatively easy to plow in the winter, especially when compared with gravel or stone parking lots and driveways. It also provides better traction for pedestrians, minimizing falls. Asphalt has a nice curb appeal. Concrete driveways cost a little bit more than asphalt driveways. It has very similar properties in regards to durability but with a longer lifespan. Sealing is recommended regularly, and concrete is prone to damage and cracking in harsher weather conditions. Concrete does not have the curb appeal of asphalt. Ask about custom options like color and brushing for more aesthetic appeal. While paving stone driveways have a higher cost, they also add the most attractive curb appeal to your home or business. Enjoy a stone pavement lifespan of thirty years or more with low maintenance. Stone blends with landscaping, driveways, and fountains. Brick and stone last in harsh climates. Paving stone requires professional installation. Enjoy a luxurious driveway for decades. This entry was posted in asphalt, Concrete, interlocking and tagged asphalt, concrete, driveway, driveways, interlocking, paving on February 18, 2019 by epicpaving. Homeowners have many options to consider when choosing the right driveway for their home. From knowing asphalt driveway cost to the benefits of cement or gravel, there are many aspects to consider when choosing the right type of driveway. Discover the most popular driveway designs below. Save some money with the asphalt driveway. Because of fairly easy installation and lower asphalt driveway cost, many homeowners select asphalt for their home. Additionally, in colder climates, the black asphalt helps with snowmelt. While durable, an asphalt driveway does need regular resealing every few years. Regardless of region, concrete remains one of the most popular driveway options because of its low installation cost and durability. Cement has some design options like stamps and dying to change the overall aesthetic appeal. While durable, concrete does not fare as well in colder climates. This costlier option has a more artistic look. More customization is available. Homeowners can select from many different types of brick, as they come in a broad swath of color choices. The biggest drawback? A classy brick driveway can be very costly for most homeowners. While a popular choice due to its variety in colors and ease of installation, a gravel driveway is not always the best choice for snowier regions. Gravel consists of small tiny rocks that often shift over time. Minimize the overall shifting by edging and layering the gravel. This will assist its upkeep and maintain its overall aesthetic look. Gravel reduces water runoff. A crushed stone driveway has many of the same benefits and drawbacks as a gravel driveway. The paver driveway consists of concrete, natural stone, or brick, allowing for more unique customization and curb appeal. While a pricier option, paver driveways are aesthetically luxurious and last for a long time. This entry was posted in asphalt and tagged asphalt, concrete, driveway, paving on January 20, 2019 by epicpaving. Homeowners constantly lose their battle with weeds. Whether you have an asphalt pavement driveway, cement, or an interlocking driveway gravel entrance, weeds magically reappear. They sprout around gardens and stepping stones, in driveway cracks and potholes, becoming an unseemly nuisance. How can you remove weeds from your driveway for good? While many ways exist to terminate weeds, some older green remedies may work. For example, pour vinegar over your interlocking driveway gravel or driveway cracks. Vinegar, a natural herbicide, kills all plants. This means you don’t want to spray vinegar on flowers and your regular landscaping, just where you want to eliminate weeds. Add dish soap to the vinegar for a more effective solution. Another quick solution? Pour hot boiling water over the weeds. If you don’t mind a little bit of hard work, simply pull out the weeds that grow. Prevent future weeds by filling cracks with cement crack filler. You want to pull the weeds before they seed. Once they seed, even if you have pulled every leaf and root, the seeds will start a new batch of plants. If you have a particularly nasty weed problem or conventional methods don’t work, then you can use a commercial herbicide to reduce weed growth. Any local garden store will have these on the shelf. Read the instructions carefully and be sure to follow all safety directions. Apply regularly to prevent weeds. Finally, if you want to prevent weeds from growing, you can apply salt to the soil. Salt will kill any plants trying to grow. Be sure that the salted soil does not wash into your garden, flower beds, or any area that you desire foliage. This will kill wanted plants, too. Follow these simple tips to remove unwanted weeds from your driveway. This entry was posted in Concrete and tagged asphalt, concrete, driveway on January 20, 2019 by epicpaving. Before starting on your next driveway repair or replacement, research each aspect of the paving process. Know what is asphalt made of. This includes also knowing the difference between asphalt, bitumen, and other key terms. While asphalt and bitumen are both used in pavement construction, they each have unique uses and properties. The liquid binder that holds together asphalt is called bitumen, or mineral tar. Bitumen comes from the partial distillation of crude petroleum. What is asphalt made of? A manufacturing plant heats, dries, and mixes bitumen, aggregate, and sand. A paving machine also applies the mix. However, people confuse bitumen and asphalt. For example, some roads and driveways use a bitumen seal overlaid with aggregate. But don’t confuse asphalt with tar – a very thick liquid derived from coal that has fallen into disuse for environmental reasons. There are several different types of bitumen like cutback bitumen, plastic bitumen, and also straight run bitumen. Asphalt is sticky and black, and incredibly thick. Asphalt solidifies at lower temperatures. At high temperatures, the asphalt liquefies. The mixture consists of lime, silica, alumina, and asphaltic bitumen. There are two different types of asphalt: residual and natural. PAving companies obtain natural asphalt from lakes and rocks. On the other hand, residual asphalt is obtained by distilling crude petroleum with an asphaltic base. Pavers categorize four different types of asphalt: mastic asphalt, cutback asphalt, asphalt cement, and asphalt emulsion. Asphalt emulsion is used in colder conditions. Companies use cutback asphalt for manufacturing bituminous paint. Roofing, waterproofing, and flooring projects can use asphalt cement. Speak with your paving contractor today about what materials are best for your project. This entry was posted in asphalt and tagged asphalt, asphalt. installation on December 17, 2018 by epicpaving. How Much Does it Cost to Blacktop a Driveway? Repairing or replacing your driveway adds to the safety and overall curb appeal of your home. What are the costs involved in hiring paving companies to blacktop your driveway? When should you repair your driveway and when do you need to replace it? Let’s discuss these questions and more. The typical driveway lasts about fifteen years. The very first question you need to ask before you call paving companies is whether you need to replace or repair your asphalt driveway. If you have a newer driveway with only minor cracks, deterioration, or very small potholes, you might be able to simply repair the driveway. However, if you have a visibly aged driveway, large potholes and cracks, or the asphalt is crumbling, it is time to replace the driveway. What is the Cost of Replacing Your Driveway? If you cannot simply repair your driveway, the overall cost of replacing the asphalt driveway can be anywhere from a few thousand dollars to over ten thousand dollars. Why the disparity in price? The first budgetary cost to consider is the size of the driveway. A smaller driveway costs less than a larger driveway, but you might not see a significant difference in pricing since much of the equipment needs to be brought out regardless if the driveway is small or medium-sized. Materials and labor make up the final factors when calculating the final cost. For example, there might be unforeseen drainage issues that need to be addressed. Odd-shaped driveways can be an issue, and sometimes trees and tree stumps need to be cleared. Each driveway will need both a base coat and a sealant, and each contractor has their preferred brands. Make sure that the contractor is using the right high-quality materials to ensure a long life for your driveway. Call us today for an estimate for replacing or repairing your driveway. This entry was posted in asphalt and tagged asphalt, driveway on December 17, 2018 by epicpaving. Every homeowner wants their residence to have incredible curb appeal. How is that possible if your driveway sealing is cracked or there are visible potholes and cracks in the entryway? Custom paving is just one way to repair and maintain your driveway. Add value, beauty, and functionality to your home. Custom paving involves more than installing driveways. Contractors will do driveway sealing, install parking areas with gravel or stone, patch and resurface, and install parking lots, walkways, and sidewalks. 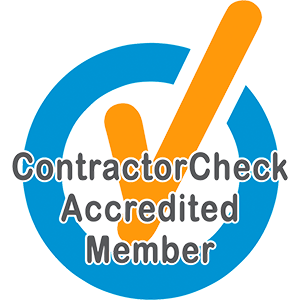 Work with a contractor that has a trusted track record and decades of experience. Talk with a designer to discuss your unique needs. Save money by regularly maintaining and repairing your home. Adding a customized driveway adds value and elegance to your entryway. There are a variety of materials and styles available from asphalt to concrete to interlocking driveways. Each has unique benefits that can be ideal for your home. Contractors will work with you to design features that work with your landscaping, garden, backyard entertainment area, and residence. Think about adding unique artistic features like an artistic interlocking walkway, retaining walls, functional curbs, or an elegant walkway. Additional features include lovely steps lacing your garden and intricate walkways that truly enhance the curb appeal and value of your home. Besides adding new features, professional contractors will work with you to repair and refurbish existing features, saving you money. For example, asphalt driveways undergo wear and tear from vehicles and weather. Because of this, cracks and potholes are common. But did you know that you can improve your driveway by not only repairing the asphalt but by sealing it? Add extra features that drain water away. Cold weather especially affects driveways substantially. Speak with an experienced professional about how they can help you maintain your driveway despite the elements. Add curb appeal, functionality, and value to your home with customized paving, from basic driveway repair to designing intricate features for your outside entertainment space. 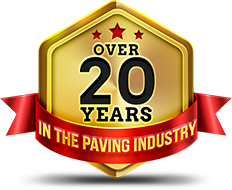 Speak with a professional today and find out how paving can improve your home. This entry was posted in asphalt, paver and tagged asphalt, driveway, interlocking, paving on November 20, 2018 by epicpaving.